The next districtwide lockout drill is scheduled for Thursday, Feb. 1, at approximately 8:50 a.m. The district recently retained the services of the Tresit Group based in Logan, Utah. Tresit recommends effective and innovative security solutions for schools. Cole Smith from the Tresit Group will be at Park City School District Feb. 1 and critically analyze the safety protocols followed, particularly during the passing period between Treasure Mountain Junior High and Park City High School. Smith is also helping the district develop the protocol for the modular safety and will be training administrators and staff on the protocol. He is also reviewing the district’s visitor management and emergency response system, the front office vestibule designs, and proposed fencing at elementary schools. 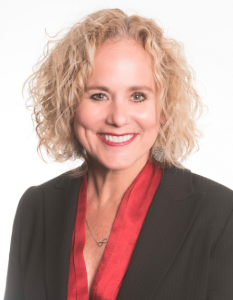 “He has been extremely impressed with the trauma informed, resilience-focused practices the district has in place to prevent tragic situations on the front end,” said Superintendent Ember Conley. – Do NOT call schools or the district office. External phone calls will not be answered. Staff are assisting students. – Parents, do NOT go to the schools. Please stay away from the area to allow law enforcement to handle the situation. – Watch for a text from PCSD Chat alerting you when law enforcement has lifted the lockout. – If you are in one of the schools during the lockout, our Standard Response Protocol is posted in every room, both in English and in Spanish, and a smaller version of the SRP is available at the front office, both in English and in Spanish. – The Emergency Update section of the Newsroom will be updated throughout the drill as information becomes available. A former high school and junior high math teacher for more than a decade, she has seen her share of students who are uninspired to learn. Stampfli, an accomplished violinist, thought she should try bringing her musical talent into the classroom. And it worked. She founded Arts Youth Empowerment, an organization that was structured to support the integration of comprehensive arts education for schools, inclusive of both performing and visual arts, in addition to providing after school arts programming to supplement existing curriculum. 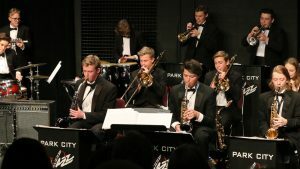 The vision and mission of the program is to support and create a strong connection for the students between the core subjects and the arts. Now a Park City resident, she wanted to bring that same program to schools here. 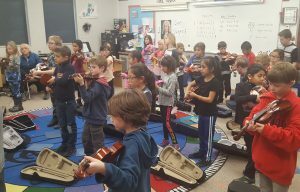 Students initially focus on the violin, learning the fundamentals of playing a stringed instrument and developing a close connection with their core subjects. They are grouped into three teaching groups: Kindergarten and first grade, second and third grade, and fourth and fifth grade. Each after-school program meets weekly for 60 minutes. Her ninth-grade daughter is helping with the classes. Each school will have a performance for parents, will perform as a district ensemble at Brigham Young University, and will appear with the Park City Children’s Choir. Some 150 to 175 students are taking advantage of the after-school program at the two schools. Arts Youth Empowerment provides the violins and rents them to the families for a nominal fee. Some of the violins broke during her recent move to Park City and Stampfli said the second and third-grades will do a STEAM project to repair some of them. “My mission and vision is to provide inspiring education for all children.” she said. “We are teaching the students there is a correlation between the violin and math.” She is developing projects with both schools related to STEAM areas of study. She is donating all supplies for STEAM projects. “This program will help supplement Park City School Districts already outstanding curriculum and further establish it as one of the greatest educational systems in the nation,” she said. Stampfli is anxious to implement the program at Jeremy Ranch and McPolin Elementary Schools once there is more funding, and the district is excited to see the positive change initiated through this year’s pilot programs. 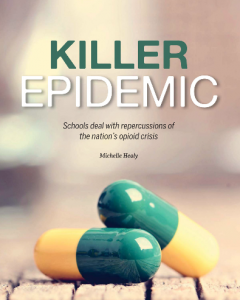 In the magazine, Dr. Conley discusses the deaths of two 13-year-old middle school students who fatally overdosed within days of one another in September 2016. She quickly learned the “depths and breadth” of the opioid crisis in Park City and Summit County. “We listened to a career drug enforcement agent tell us that this epidemic is the worst drug crisis in the nation’s history,” she told the national publication. Dr. Conley told the magazine that the school board put together a two- to three-year plan to fund the district’s new resources. It also supported the decision to stock all district schools—elementary, middle, and high—with naloxone, the opioid-overdose reversal drug often referred to by its brand name, Narcan. School nurses and first responder teams in each school have been trained in its use, she said. The American School Board Journal is an award-winning monthly education magazine published by the National School Boards Association. 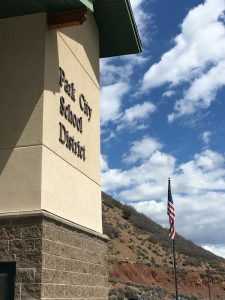 Park City School District has receive the honor of being named best school district in Utah by Business Insider. “There are nearly 100,000 elementary, middle, and high schools in the U.S. The best districts are coveted, and a high-caliber school system can be a key factor when a family decides to relocate to one city over another,” the article states. Niche, a company that researches and compiles information on schools, provides a ranking of school districts. Their ranking is based on a district’s strength of academics, health and safety, diversity, and the quality of teachers. “We are incredibly honored,” said Superintendent Ember Conley. “This accolade is a reflection of the incredible teachers and staff who are advocates for our students. We also strive to be forward thinking in providing our students with the best possible education,” she said. 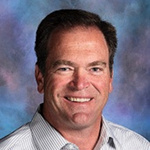 Highly respected school leader Park City High School Principal Bob O’Connor shared Thursday, Jan. 11, that he will not be returning as principal at the high school in order to address health concerns. “I want to thank all of you so much for your concern and support over the past several weeks while I’ve been going through a series of screenings and tests to diagnose my health-related symptoms. My doctors have discovered evidence of a neuromuscular-degenerative disease that requires me to seek multiple care plans and treatments. It is in my best interest to take medical leave to fully explore treatment options. Due to the nature of my health issues I will not be able to return as Principal of Park City High School. “I am proud of my 21 years of service in leadership roles in the Park City School District. My latest service as Principal for the past six years at Park City High School is reflected through the numerous accomplishments of the entire faculty and student body. Superintendent Ember Conley announced in November that Mr. O’Connor was taking leave. Kathleen Einhorn was named interim principal. Dr. Einhorn will serve as principal the remainder of the 2017-18 school year. The district will post the position this month and begin the search for a new high school principal. The district will screen applicants and interview in March with the replacement announced later that month. A hiring committee will follow district policy with a balanced team of teachers, parents, administrators, and board members. 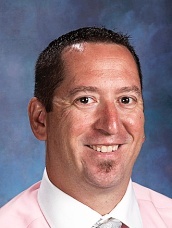 Mr. O’Connor was hired by Park City School District in 1997 and has served as principal at PCHS since August 2012. Prior to that he was an assistant principal at PCHS and a principal at Treasure Mountain Junior High School.